In 2001, the Michigan State University Museum was named a Smithsonian Affiliate, formalizing an ongoing exchange of research, programs, exhibitions and collections. Affiliate institutions borrow objects from the Smithsonian's collections, and incorporate outreach services offered by the Smithsonian, including curriculum development, lectures, traveling exhibitions, workshops, study tours, and internships. The Smithsonian Institution was founded in 1846 with funds from British scientist James Smithson (1765 - 1829) "for the increase and diffusion of knowledge." Today the Smithsonian Institution, the world's largest museum complex with 19 museums, a zoo, and 9 research centers. The MSU Museum is Michigan's first Smithsonian affiliate, and collaboration between the two institutions goes back to the 1987 Festival of American Folklife in Washington, D.C., and subsequently the Festival of Michigan Folklife at MSU. The two institutions have since worked together on a variety of projects, including the South African National Cultural Heritage Project and the Great Lakes Folk Festival. MSU Museum staff have also worked with the Smithsonian on a Michigan Training Institute for Native Americans, as well as ornithology and paleontology field work, research and publications. 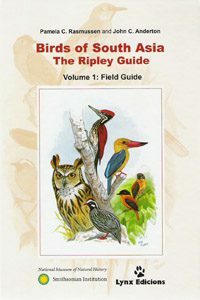 "Birds of South Asia: The Ripley Guide," by Pamela C. Rasmussen, MSU Museum assistant curator of birds and mammals, and illustrator John C. Anderton, is the first field guide to cover birds of Afghanistan and the Chagos Islands. Also included among the 1,450 bird species are those of Bangladesh, Bhutan, India, Maldives, Nepal, Pakistan, southern Tibet, Sri Lanka and western Myanmar. Species identification, geographic ranges and vocalizations are highlighted in the development of the scientific yet user-friendly field guide that ornithologists and bird-watchers alike will rely on. Dr. Rasmussen's work on the book is the result of a multi-year research project with the Smithsonian Institution's National Museum of Natural History. The "Carriers of Culture: Native Basket Traditions" is a major research project coordinated by the MSU Museum in collaboration with the major national Native basketmaker organizations, which documents the living traditions of native basket weavers across the United States. The project resulted in a major national touring exhibition, an accompanying publication, and a program at the 2006 Smithsonian Institution's Folklife Festival on the National Mall in Washington, D.C.